The Multi-Coin Vise holds eight coin sizes with two sets of reversible jaws. The sizes are: Nickel, Quarter, Cent, Dime, Half Dollar Silver Eagle, Morgan Dollar, Native American. There is a clamp block on the bottom of the holder for mounting in a larger engraving vise. The jaws can hold some 61 different coins. 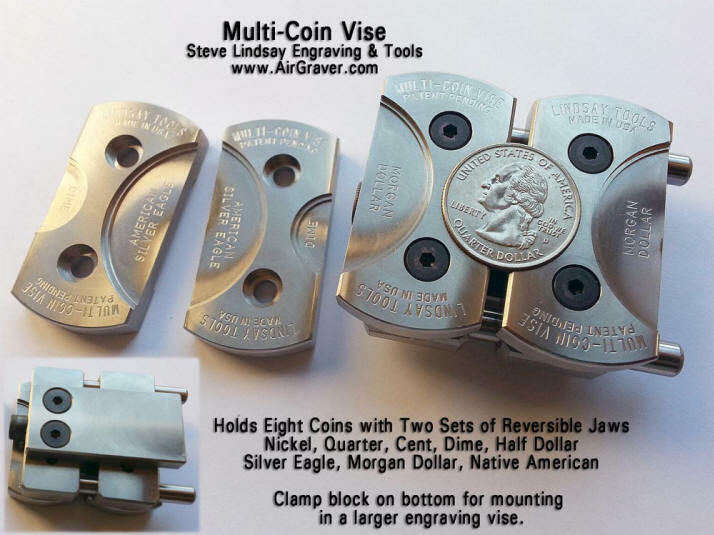 The holder was made with US denominations in mind, however those measurements happen to accommodate a wide variety of coins from many countries. Here is a list of 61 coins. 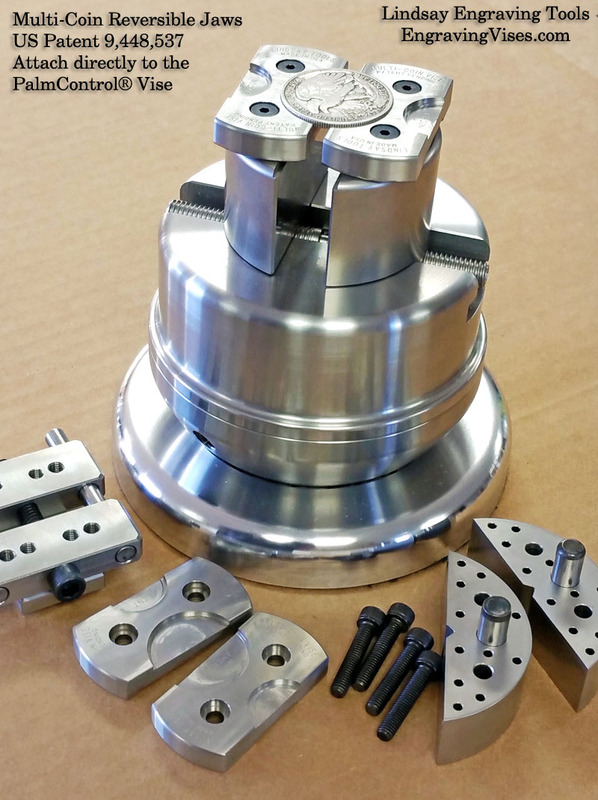 The patented jaws of the multi-coin holder will screw right on to the top of the jaws of the PalmControl® Vise.